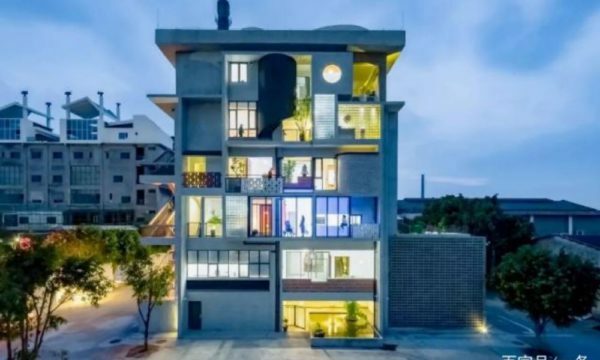 While living together with your best friends in one big house might be a dream of many people, this Chinese architect turned the idea into reality by transforming an old factory into a modern museum-like work- and living space. 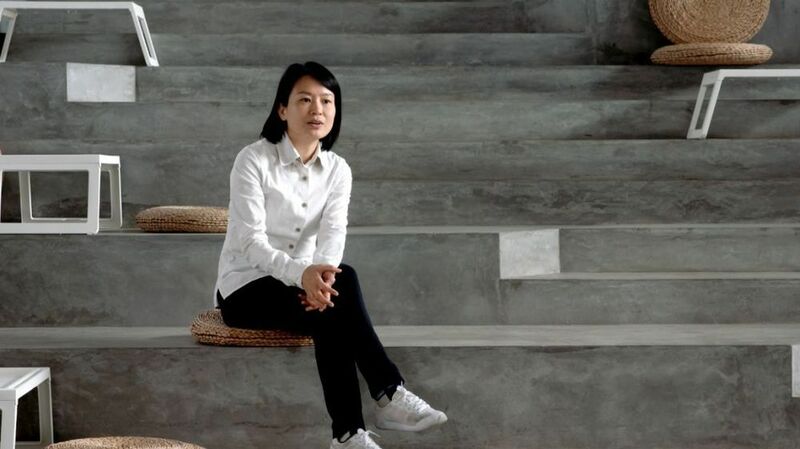 Through her work, the architect aims to change views on China’s urban living spaces. Guangzhou architect “Michelle” (米歇尔 or Mi Xiao 米笑) and most of her friends work in creative industries. A few years ago, they found that their work and lifestyle required a more flexible and multi-purpose living space; a place where they could live and work together as a small community while also showcasing what they do. In 2012, the six friends found a workshop in an old abandoned sugar factory, built in the 1950s, located in Guangzhou’s Panyu district. 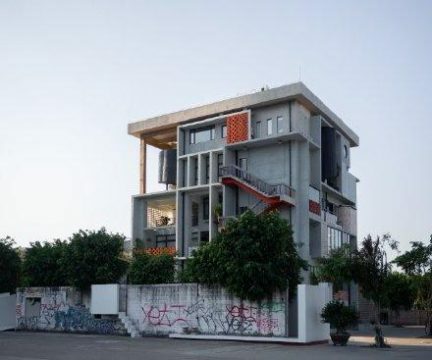 More than five years later, they had succeeded in transforming it into a modern six-story work- and living space. 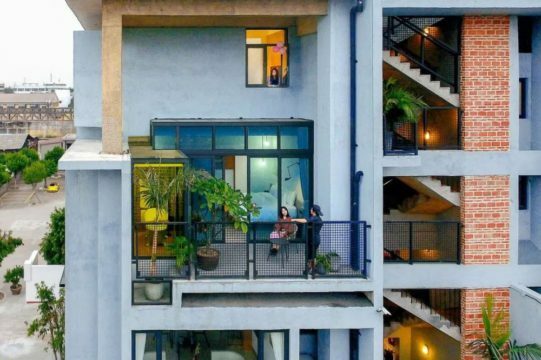 A news story and a video of the building are now attracting major attention on Chinese social media. On Weibo, the hashtag “Six Friends Transform a Building” (#6个好友改造一栋楼#) has been viewed more than 250 million times. 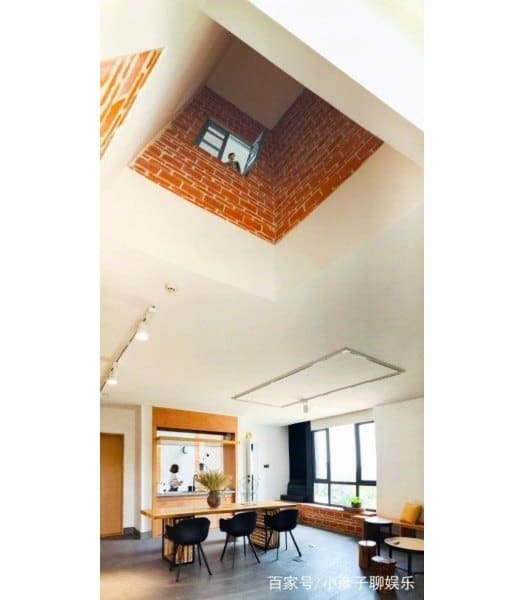 The communal living space, that has been named Boundless Community (无界社区), covers about 1500 square meter and has six completely separate rooms. Originally, the building was made up of only three stories, each with a ceiling height of six to nine meters high. 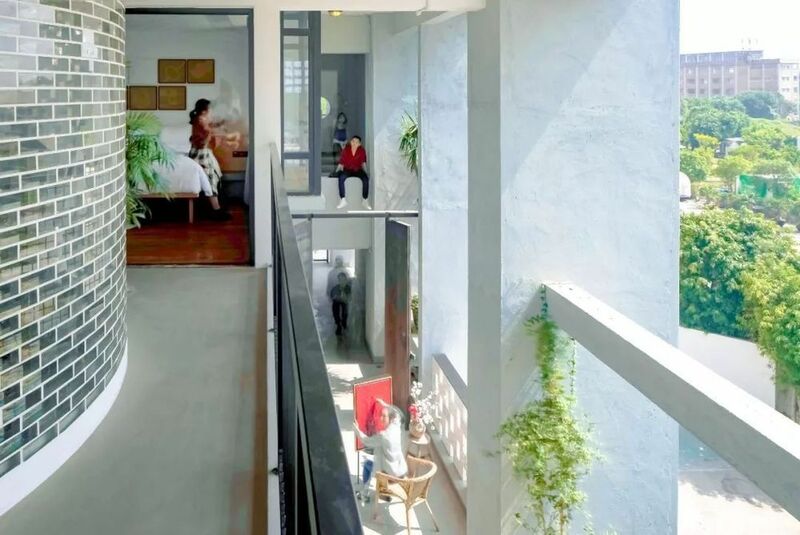 With the reconstruction of the building, the architect reportedly “wanted to break with the traditional urban types of dwellings,” where many people live behind locked doors in small spaces. Michelle intended to design the space as a small “village,” where people share their living space. The building itself is almost like a museum by allowing people from outside to look into the various studios. 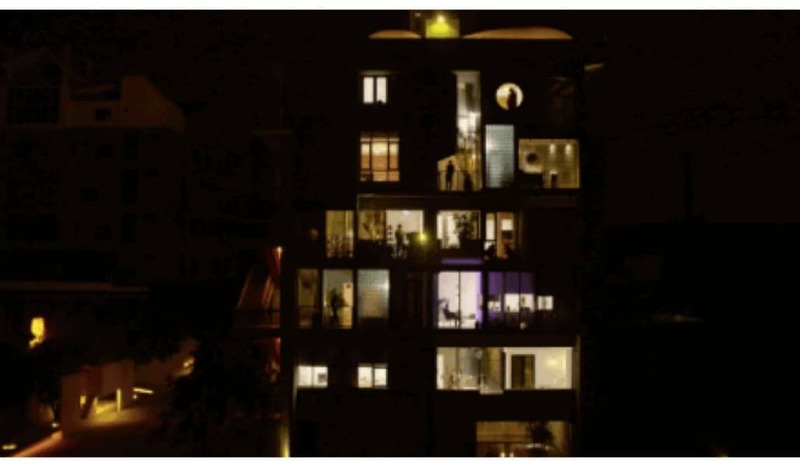 The popular architect is not the only one who is in favor of sharing a living space with her friends. 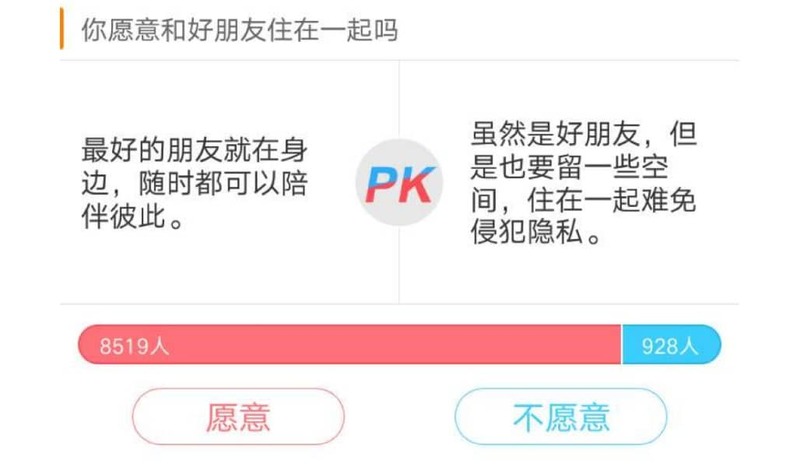 A recent poll on Weibo shows that more than 90% of respondents would also like to live together with their friends; only 10% of the people prefer privacy over a communal living space with good friends. To read more about changing attitudes on home and living in China, also check out this article by What’s on Weibo.